One of the most common causes of personal injuries during Labor Day and other holiday weekends is negligence. Unlike intentional torts such as assault, battery, and false imprisonment, negligence is the breach of a duty owed that causes damages. In other words, negligence is typically a sin of omission rather commission – a failure to act or protect others from harm or danger. Examples include failure by a grocery store to post “warning: slippery when wet” signs in aisle after a liquid has been spilled, or inattentiveness (e.g. text messaging) while driving. Whether as individuals or business owners, we owe duties to one another. 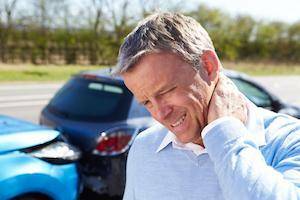 When a duty, such as that of safe driving, is breached and harm such as personal injury results, monetary damages may be sought to make right the losses that have been suffered. If you have suffered a personal injury or lost a loved one as the result of the negligence or intentionally wrongful conduct of another, contact an experienced Orland Park personal injury attorney. Call Schwartz Injury Law at 708-226-9000 to schedule a free consultation today.